Two factors of business are profitability and growth. The digital economy provides an unprecedented opportunity to achieve both – but with one huge caveat – business agility. 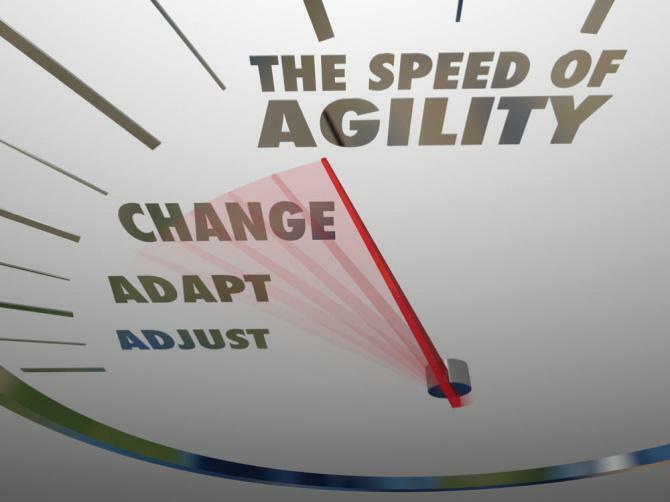 So what is business agility? It’s the ability to rapidly adapt to internal and external changes without losing momentum. Becoming an agile organization is as much about culture as it is lean processes. An agile culture fosters small teams that collaborate dynamically with less formal meetings. This eliminates the “design by committee” approach that is a dead weight plaguing many organizations. Historically, the larger an organization becomes, the less agile they become too. Take for example brand giants Eastman Kodak and Polaroid. Arguably the most dominant powers photographic film and instant cameras. However, the two had become so large that with the over-night advent and rapid evolution of digital photography, they were out-paced and fell into oblivion due to their inability to adapt. Business agility is a powerful competitive advantage. harnessing its principles will enable faster time-to-market and yield cost reduction that can be re-invested to fuel further growth. Find out more about business agility and how it can make your business become more competitive, more profitable, and generate more growth.